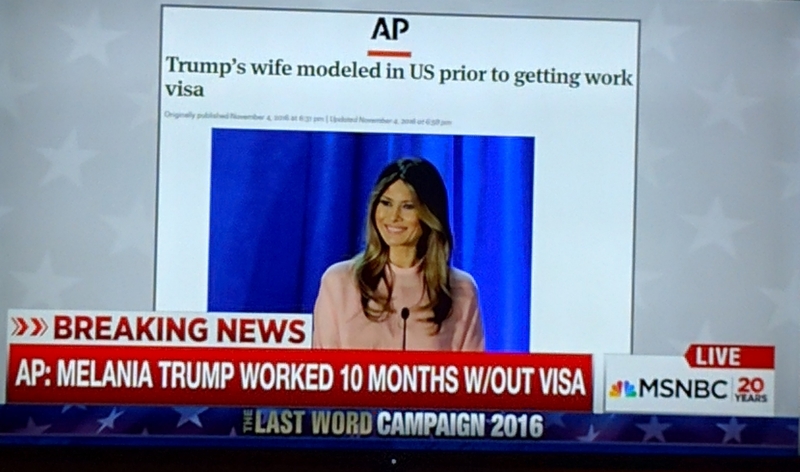 Melania Trump worked illegally for 10 Jobsss?? Is this family all con human being? I mean one after another, it’s like their faces are so thick so shameless and irresponsible. Yet, many still don’t care about it. Guess they all are in the same basket of deplorables. I could understand those deplorables still unmoved by all those facts, but what I don’t understand is for some educated independent (mostly) still voted or will vote for Trump. I think Melania has a hard job, keeping up with Trump, but she agreed to bare Trump for her last name, so I will not feel bad. Donald now is over 70 yo, it will be less likely he will divorce her, although it can happen. Behavior doesn’t change, or so unlikely to change. It happened twice, so the third one is not impossible. Melania could come clean, telling the truth about everything, but she chose the other path. I really pray that public will finally open their eyes about The Trump’s. Their scams and lies should be revealed. Melania…run Melania…run far away from this family, just like your predecessors. This topic has come up again, I think it’s fair to question her past immigration status and documents.